The 6th annual CX Day is on Tuesday, October 2, 2018. CX Day, a Customer Experience Professionals Association (CXPA) initiative, is celebrated across the world on the first Tuesday of October. The day is an opportunity to recognize the professionals and companies that make great CX happen. There are online events like webinars, twitter chats, and CX Day-specific blog posts; and events in specific geographical regions. Further, CXPA showcases many company celebrations happening. How did CX Day come to be? Bruce Temkin, CXPA Co-Founder, said he felt the CX profession needed a day to celebrate itself and to raise CX awareness in a “coordinated, high-energy way”. So, on October 1, 2013, CXPA had its first CX Day. 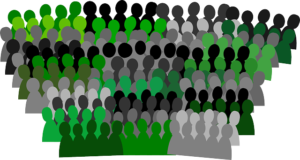 The US House of Representatives even proclaimed that day as “Customer Experience Day”. Temkin also said that CX Day shines a light on CX professionals, raises the visibility of CX, and provides a reason to engage your organization and customers. CX Day falls during Customer Service Week, which is the first week of October. So while CX Day is about celebrating CX and those employees and companies that deliver CX, it’s also about celebrating corporate values, employees, customers, suppliers, and companies. All of these components work together to deliver quality experiences that fuel growth. 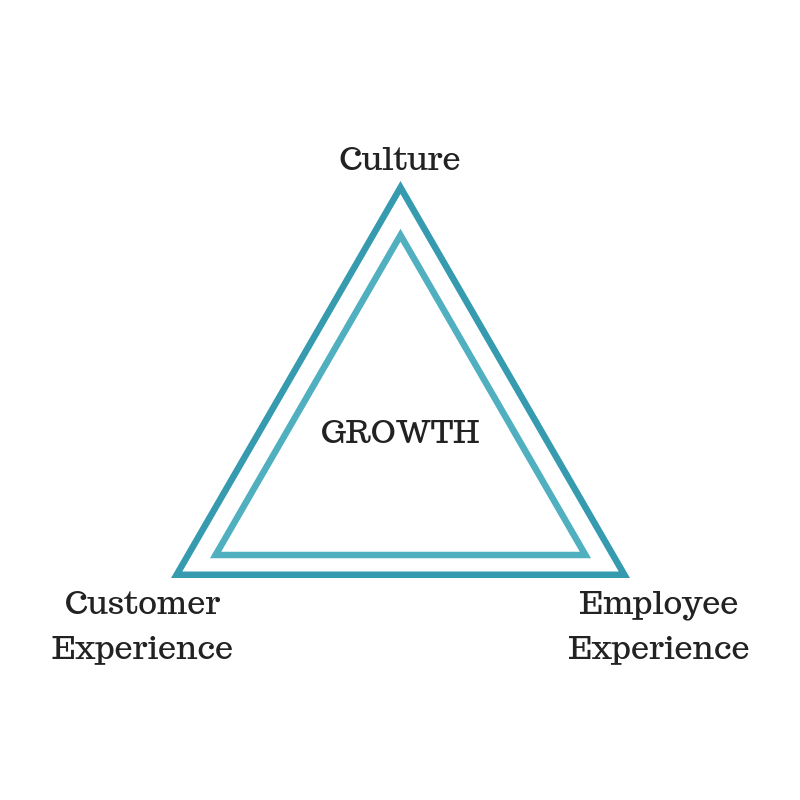 I refer to culture, CX and employee experience (EX) as the holy trinity of growth. At the top, is culture. Everything stems from culture. By definition it is those values, beliefs, and behaviors that determine how a company’s employees and management interact and conduct business. Culture starts at the top as the CEO and other C-suite members drive the culture. The hope is that they lead the organization in such a way that it survives and thrives. Management must drive and foster the employee experience. In the US, we’re still hovering in the 33-34 percent range of engaged employees. It’s been a tough nut to crack. But research shows that engaged employees drive CX. Engaged employees are 8.9x more likely to recommend the company as a place to work, 5x more likely to recommend the company’s products and services, and 4.7x more likely to do something good for the company even if it is not expected of them. 82 percent of employees at companies with strong financial results are “highly” or “moderately” engaged, as opposed to only 68 percent at under-performing companies. CX leaders have 60 percent more engaged employees than CX laggards. CX leaders get this truth. They have a clear focus and understanding of the importance of engaged employees. So, CX leaders ensure engaged employees. Onboarding is not just about orienting new employees to the company’s policies and procedures. It also involves helping employees understand their job, performance expectations, and the culture; introducing them to co-workers and management; connecting them with sources that will enable them to do their jobs well, etc. Having an onboarding program pays. New employees who go through a structured onboarding program are 69% more likely to still be with the organization after three years. Help employees grow through meaningful employee development programs. Employees want opportunities to advance within an organization. They also want autonomy, more responsibility, and respect. The best managers understand that their success and the organization’s success rely on employees’ achievements. So, they ensure they work with employees to create personal and professional growth plans, provide coaching and mentoring in addition to training, and ensure employees are engaged. Give employees a sense of purpose. Include them in the business strategy so they know how they fit into the organization and with other teams, provide them with resources to help them perform their best, create an environment of open and clear communication, and provide meaningful incentives, rewards and recognition. Create an effective voice of the employee (VoE) program. According to Qualtrics, employees who say employers act on their feedback are 4x more likely to stay with the company than employees who don’t think their feedback changes anything. And the third component is customer experience. When employees are engaged and understand how they fit in the organization, it’s easier for the CEO and other senior leaders to get them to buy into the CX vision, why it’s important and their role in it. This enables them to take ownership for their piece of the CX effort. When these three components are aligned, corporate growth results. Which brings us to CX Day. On October 2, we celebrate CX Day. But it’s only one day. One day out of the year. Shouldn’t we celebrate CX Day every day? Below are ideas on how to celebrate CX Day every day. Empathy is a muscle to be strengthened every day. Empathy is all about putting yourself in another’s shoes. This is the key soft skill for CX professionals. Be an active listener. Speak from your heart. Be grateful every day and show gratitude by thanking people. Be present with people. Practice a growth mindset. And, always be curious. We all have biases. If you’re not sure what your unconscious biases are, consider taking the online hidden bias quiz. Being aware of what your biases are will help you determine what actions you can take to manage them and curb behavioral tendencies you might have. It’s common to want to gravitate to those who are “like you”. But different ideas and approaches actually add value. Inclusive teams make better decisions in less time, and deliver better results. Acknowledge and support different ideas. In fact, seek out differing viewpoints. Make sure everyone is heard during team meetings. Seek out people who are different from you. Start diversity lunches that you get different employees together for lunch. Pick up the phone and call a customer. Thank them. Ask them how they’re doing. Find out if they have any questions you can assist with. Celebrate their wins. This is a great time to practice your empathy and listening skills. Listen for clues on how your customer feels about you. Remember these calls are good times to nurture relationships. This isn’t a one-and-done exercise. Determine with your customer a good frequency and length of these “check-in” calls. Social listening is the process of monitoring social media and the rest of the Internet for your brand mentions so you can understand customer sentiment. It still is an under-tapped activity as only about a quarter of organizations do some type of social listening. Some great social listening tools include Talkwalker, SproutSocial, and Conversocial. Social listening can help you identify at-risk customers, competitors’ at-risk customers in which to engage with, prospects who are looking for you, customer advocates, content that you can create that would be helpful to prospects and customers, new product features or products you should consider, ideas for marketing campaigns, brand health, and how to improve your CX. If you are in a customer-facing role, consider meeting with or even cross-training with someone in a non-customer facing role. Help establish an employee advocacy program and take part in it. Start informal training opportunities like lunch n learns. Recognize and praise an employee every day. Consider forming a culture committee. A culture committee is a cross-functional committee where one employee from every department participates. These “ambassadors” help ensure the corporate culture is moving in the right direction. Find out about your fellow team members’ passions. Thank a fellow employee every day. What activities are you implementing to make each day feel like CX Day? Let us know in the comments.